Tioman Island Malaysia was discovered by Arab and Chinese traders and seafarers almost thousand years back. The tourists can find enough accommodation to stay as there are several resorts and chalets in Tioman Island that are duty free. The island has 45 mammal species and 138 bird species, which includes Majestic Frigate bird. You can find soft-shelled turtles and Tioman Island walking catfish in the island. Based on a legend, Pulau Tioman Malaysia is the home of a dragon princess. The princess was flying from China to Singapore to see her prince. On the way to Singapore, this beautiful princess stopped by the charming South China Sea. She fell for the beauty of the place and decided to end the journey there. She took the shape of an island to provide comfort and shelter to the travelers passing by. The most suitable time to visit Pulau Tioman Malaysia is between the months of March and October. From October end to March beginning, monsoon starts in the island and most of the resorts will be closed during these months. Avoid visiting the island during public and school holidays in Singapore as Tioman Island is the favorite holiday spot of Singaporeans. In Tioman Island Malaysia, the tourists can hop from village to village using the Mersing / Tioman Blue Water Express ferry service as it is the cheapest method to hop from one village to another. The travelers have to pay RM15 for every trip. Bluewater Express Ferry Service is operating its service only between Salang and Genting. To visit other places in the Pulau Tioman Malaysia, the tourists have to depend on other local operators for boat services. The services operated by the local operators are little expensive, but you can depend only up on them to go to other villages in the island. The tourists can travel to some places in the island by driving 4×4 cars, which also an expensive transport. Tioman Island Malaysia is best known for being a best diving destination in Malaysia. Other then diving there are plenty of activities a tourist can do on the Island. Some of the recommended things to do in Tioman are listed below. If you are a fishing enthusiast, you can enjoy fishing at this place in Tioman Island Malaysia. You can hire a boat for one day and anchor it away from the Marine Park Center Tioman, where fishing is allowed. By sunset, you have to catch a fish to enjoy a barbecue on the beach. You can also try out deep-sea fishing, if you would like to become adventurous. 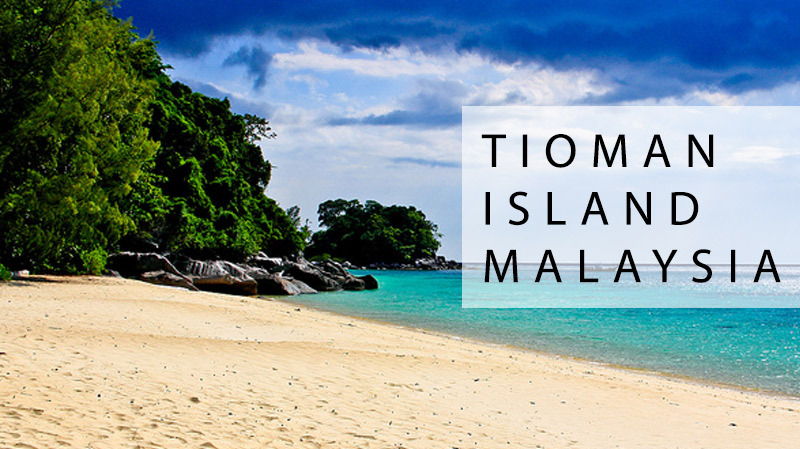 Tioman Island Malaysia is really a treasure trove with several marine attractions such as seashells, corals, sea urchins, starfish, seaweeds, sea anemones, and other aquatic phenomena. Enjoy snorkeling in Tioman and scuba diving in the sea waters of the island. Some of the nearby islands worth visiting from Tioman are Sembilang, Gut, Tulai, Chebeh, Renggis, and Seri Buat. Pulau Tioman Malaysia is wonderful island, where the tourists can enjoy water sports. Some of the water sports that can be enjoyed by the visitors are deep-sea fishing, boating, water skiing, boating, windsurfing, etc. Pulau Tioman Malaysia has around 20 diving sites and all of them are located within a distance of 30 minutes. Tioman Island is best for both beginners and experts in diving. In the island, you can find training courses for diving. Scuba diving is good for any type of divers. Tioman Island is a place where you can enjoy macro underwater photography and night diving. Some of the popular diving sites in Pulau Tioman Malaysia are Tiger Reef, Soyak Island, Fan Canyon spot, Salang Bay, Renggis, Marine Park, Chebeh, Teluk Kador, Malang rocks, Roger’s Reef, etc. While diving, the divers can see school of fishes, rays, reef sharks, turtles, soft and hard corals, whale sharks, etc., under the crystal-clear waters. Pulau Tioman Malaysia is a great tourist spot for nature lovers. There are several exciting activities that can enjoy in the blue water of the sea. Pulau Tioman Malaysia has altogether eight villages, of which Tekek village is the most populous and largest village. Since the island has dense forest that is sparingly inhabited and the sea surrounding the island consists of several coral reefs, the tourists can enjoy scuba diving and jungle trekking. The dense forest of the island is an ideal spot to enjoy jungle trekking. Enjoy the beauty of Asah Waterfalls that situated in the middle of the forest. If you have enough money, then you can enjoy the sunset by booking for a luxury yacht cruise with barbeque dinner. The twin peaks, Nenek Semukut, is one of the best scenic beauties in Tioman Island. planing end of october visit tioman island….is dat the good wheather to visit? Planing to visit Tioman End of Dec. Is it good for visit.